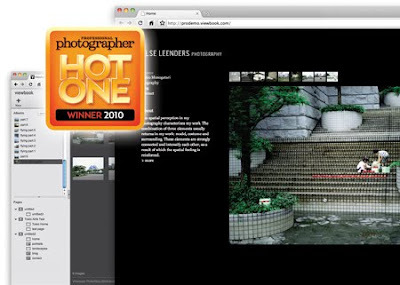 I'm very happy to let you know that we’ve won the prestigious Professional Photographer Hot One 2010 Award. Our Viewbook Pro Website Account swept past its competitors in the online portfolio category. For the past 11 years, the Hot One Awards have provided Professional Photographer magazine’s readership with a resource of the newest, most innovative products. The panel of 52 judges - independent, practicing professional photographers selected for their expertise and knowledge - know what to look for in professional products. Their selection was based on overall quality, innovation, design, performance, and value for the price.